The Faithfull FAIDOWBIS0 wood biscuits come in a tub of 150, size no. 0. 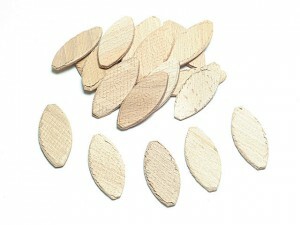 The Faithfull FAIDOWBIS10 wood biscuits come in a tub of 125, size no. 10. 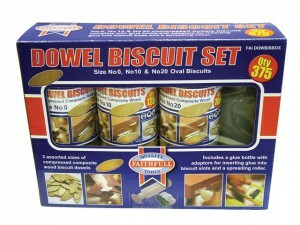 The Faithfull FAIDOWBIS20 wood biscuits come in a tub of 100, size no. 20. Trend BSC/0/100 Biscuits Size: No.0 (47.5 x 15.5 x 4 mm).Pack Size: 100. Trend BSC/10/100 Biscuits Size: No.10 (53 x 19 x 4mm).Pack Size: 100. 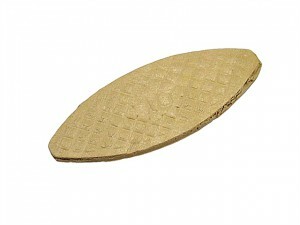 Trend BSC/10/1000 Biscuits Size: No.10 (53 x 19 x 4mm).Pack Size: 1000. Trend BSC/20/100 Biscuits Size: No.20 (60 x 23 x 4mm).Pack Size: 100.